Join award-winning writers Kevin Barry, Lisa McInerney, Mike McCormack, Doireann Ni Griofa and Sarah Maria Griffin for an evening of readings and more from Winter Papers, Ireland's annual arts anthology. 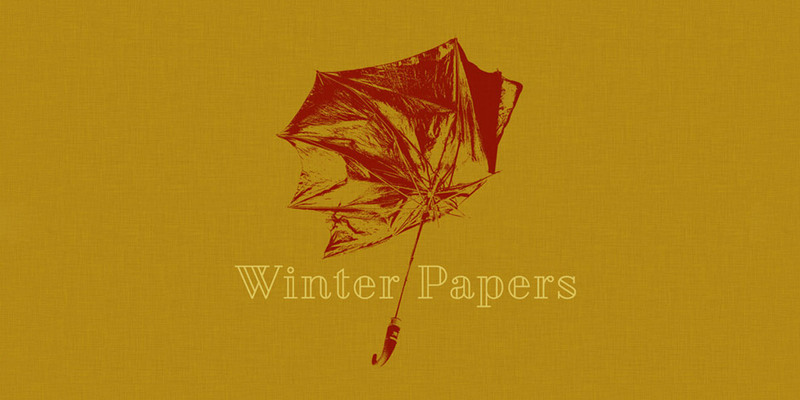 Winter Papers, Ireland’s annual anthology for the arts offers fiction, non-fiction, poetry, photography, visual arts, along with craft interviews and in-conversation pieces on writing, film, theatre, dance, photography and music. Kevin Barry is the author of the novels Beatlebone and City of Bohane and the story collections Dark Lies the Island and There are Little Kingdoms. Doireann Ní Ghríofa’s most recent book Clasp was shortlisted for the Irish Times Poetry Award 2016. Awards for her writing include the Michael Hartnett Poetry Prize and the Ireland Chair of Poetry bursary. Sarah Maria Griffin’s collection of nonfiction, Not Lost, was published by New Island Press in 2013. Her first novel, Spare & Found Parts, is to be published by Greenwillow Press (Harper Collins) this year. Mike McCormack is the prize winning author of two collections of short stories and three novels. His latest novel, Solar Bones was published by Tramp Press and has just won the £10,000 Goldsmiths Prize for Fiction. Lisa McInerney’s stories have been published in The Stinging Fly, on Granta and BBC Radio 4. Her novel The Glorious Heresies won the 2016 Baileys Prize and the Desmond Elliott Prize.